In haste, as busy-ness looms again in this not-too-quiet cloister. As we recover from and reflect on the Paris atrocity (and for those who have cared to notice, the Beirut outrage on the same day) we will find strong words being said. Some are necessary and true; some are unhelpful and off-target. Several commentators and news outlets seized on the Syrian passport found near the corpse of a suicide bomber as proof that terrorists are coming in with asylum seekers. It was strange to those of us who spent a second or two thinking about this — strange that the bomber’s body should be in a million pieces but his passport intact. Now we hear that the authorities feel it was planted and that indeed it is a fake. Making us fear all asylum seekers is part of the tactics of terror. Divide and conquer is a tried and true strategy. This strength of feeling brings into focus some uncomfortable truths. It is time to begin hating. It is time to hate terrorism, structures of violence and oppression, torture and inhumanity, bloodlust and the creeds of antichrist. We must them with a perfect hate: measured, thoughtful, discerning and calm. They must be decried, dismantled and destroyed. It is not time to hate people. It never can be. Christ died even for the butchers of Paris last Friday, even if they rejected that redeeming death. God desires that all people be saved and come to knowledge of truth (1Tim 2:4). So our duty is to love (in the active, not emotional, sense) the Islamist terrorists, by confronting them with the truth, admonishing them, shaming them, and punishing them, for the Lord punishes those whom he loves (Prov 3:12; Hebrews 12:6), that they might be saved. But what a fine line to walk – to hate the sin, and love the sinner. It can be spoken glibly all too often. However, it is a real and mighty challenge for Christians, and salvific. If we are to hate the sins we do not like, we must also start hating our own sins lest we become hypocrites. Thus this latest atrocity is a reminder to us of our constant need to repent and to receive God’s forgiveness and so experience the mercy of God which is ever on offer. Always on offer. For all of us. Take the time to read this story, which puts a human face to this duty we have to hate the terror but not the terrorists. Even more, it reminds us to be careful whom we label as part of this programme of terror. There are more victims than we realize, and some of them will be victims of us not Daesh if we do not get this balancing act right. Most victims of Daesh are Muslim, and we must not become agents of Daesh in our reaction to them. Surely Father we must temper our forgiveness with caution. Is it not strange that among these ‘refugees’ there are so many young, fit men each one with a mobile phone? Our borders must be secure to protect the British people many of whom are refugees themselves. Those who say (& this includes Angela Merkel) ‘let them all in’ must now be questioning their sense. Should not more of these ‘refugees’ be staying in their own countries to combat this evil? Should not Islamic leaders be openly condemning the people who perpetrate these horrors? Love the sinner & hate the sin can be very difficult after events such as Paris. Hi David. 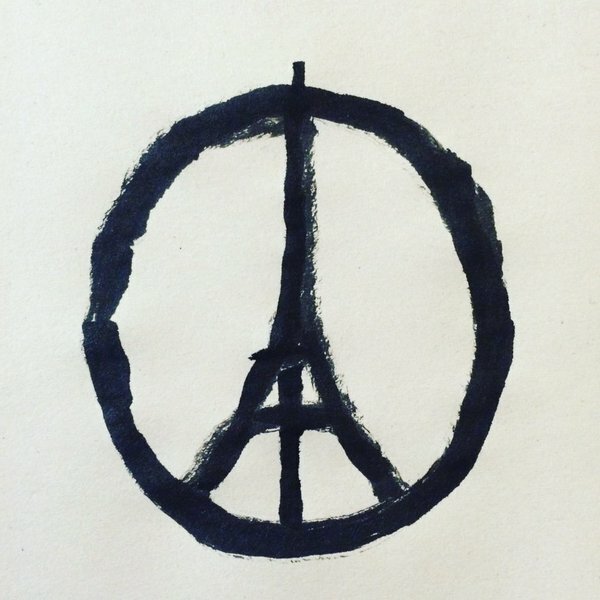 “Love the sinner & hate the sin can be very difficult after events such as Paris.” Indeed. And that is precisely my point. I am not saying that increased vigilance regarding refugees is not necessary. No doubt there will be a move to err on the side of caution, and quite justifiable that is too. By the same token, an approach (to put it at the extreme!) like “Kill them all; God will know his own.” cannot be justified either. Let’s be honest. The only way for IS/Daesh to be defeated is for Muslims to take them on. Muslims must reclaim Islam as a religion of peace if the rhetoric of the moderates is to have any substance. Whatever happens, it will not be easy. I find it frustrating and sad that our leaders here in the US are so afraid of saying that these continued acts carried out by the hands of Islamic extremists are indeed that of “radical” Islam—-as that’s just what it is—a radicalized, extreme tangent of the whole—-it doesn’t mean the whole is the problem, just the radicalized offshoot—and yet in our ever so pained approach of not wanting to offend anyone we can’t look at the duck and call it a duck…as in if it looks like a duck, quakes like a duck, it is therefore a duck! I had read that. Very telling. Don Bosco would have heartily approved Benedict XVI’s Regensburg address. Pax.